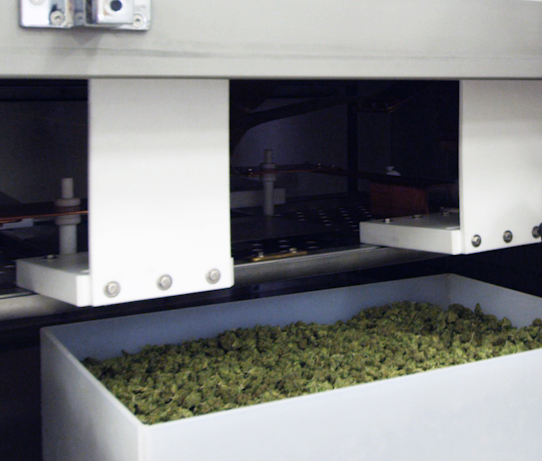 Within a temperature-controlled process chamber, the RF treatment exposes the Cannabis to an electromagnetic field generated between a set of electrodes inverting its polarity at 27.12 MHz frequency. 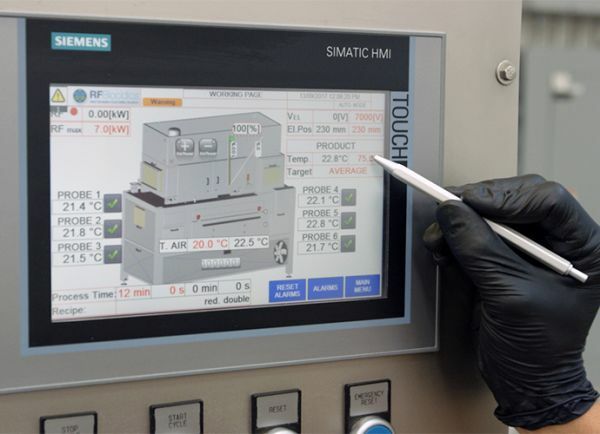 Pre-programmed process settings designed to kill targeted pathogens regulate the RF voltage between electrodes to achieve a target temperature that kills the pathogens. 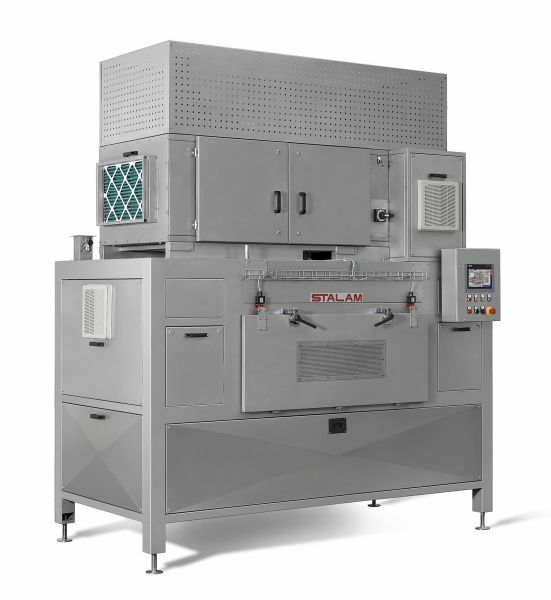 The efficient process treatment ensures uniform Cannabis treatment at temperatures that will not alter its physical, chemical, functional, or sensorial characteristics. Radio Frequency treatment of microbial pathogens is also safe and effective for other medicinal and leafy plants and herbs.